This disease is caused by worms that live in a pet’s heart and blood vessels of the lungs. Though it primarily affects the heart and lungs, it can also affect the kidney, liver, eyes, and the central nervous system. How does my pet get heartworm disease? Heartworm disease is not spread directly from pet to pet. 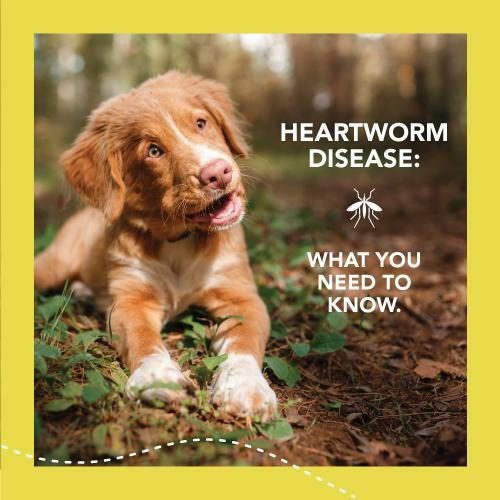 Dogs and cats contract heartworm disease by being bitten by a mosquito that has already bitten an infected animal, and the mosquito carries the immature form of the worm. Dogs are the natural host for heartworm. Cats can also be infected, but are considered atypical hosts. What are the symptoms of heartworm disease in my cat or dog? What does treatment look like for this disease? Dogs that are infected with heartworm disease undergo a series of intramuscular injections, oral medication, and hospitalization. Treatment takes months and during that time exercise and activity have to be restricted. The risk of complications increases with the severity of the disease at the time of treatment. Heartworm disease in cats is much less common. Unlike heartworm disease in dogs, it is difficult to diagnose the disease, and there is no specific treatment for heartworm disease in cats. Symptoms caused by heartworm disease in cats are managed, medically, as needed. Is there heartworm preventative options? Yes! Prevention is the best strategy. There are oral, topical, and injectable preventative medications available. 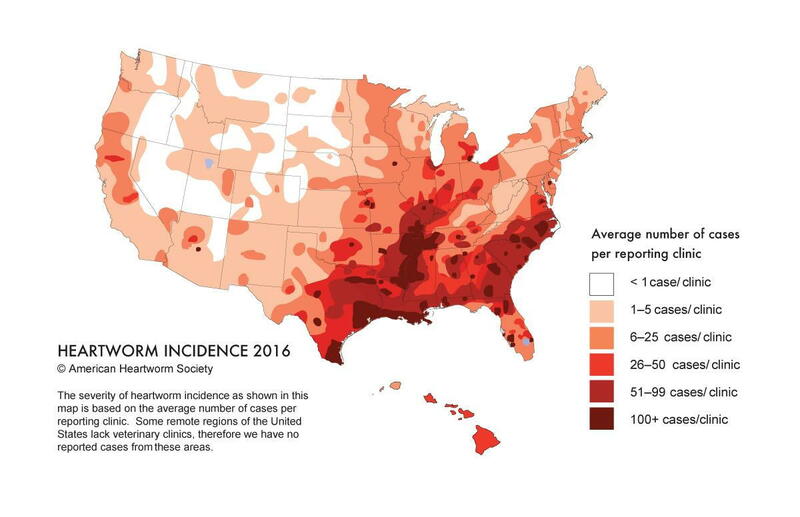 The American Heartworm Society recommends that preventative medicines be administered year-round to dogs accompanied by annual screening blood tests. Are your pets protected against Heartworm Disease? Call or book an appointment with your veterinarian to discuss the best preventative options for your pet!